Are PEOs or Insurance Brokers Better for Small Business Benefits? 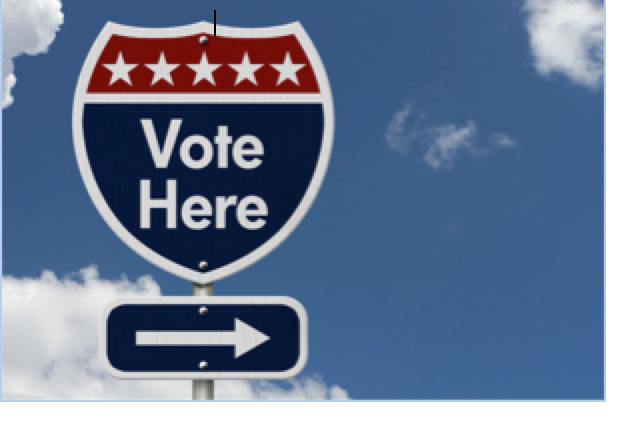 PEO Vs. Insurance Broker: Who Gets Your Vote? It's election day in the U.S. and while Americans stand in lines across the country to cast their ballots for the next president, small businesses are facing another kind of decision: Which provider can best meet the benefits needs of your business? The ACA brought business owners face to face with some tough questions about insurance. What is the best way to provide coverage for your employees? How can you provide good coverage without breaking the bank? What if you’re a small business—are you stuck with high rates? Because the ACA changed the rules of the game, many companies had to completely re-evaluate their insurance packages to meet compliance requirements. And sometimes, they ran into snags like high cost of coverage and limited plan options. Now, with 2017 reporting deadlines just a few months away, it’s more important than ever that companies get their insurance coverage ducks in a row. If you’re a small business, you may not have the staff on hand or the industry expertise to buy your insurance direct. Even more troubling, you might be facing exorbitantly high rates. Insurance brokers and PEOs both offer solutions to these problems, but which one can meet your needs more effectively? The benefit of working through a third party to purchase insurance coverage is that they have in-depth knowledge of plans and pricing options and can offer innovative solutions. But should you choose an insurance broker or a PEO? Insurance Broker—Insurance brokers will help you shop numerous providers in order to get the best coverage for your business. They also offer support and industry knowledge to help you choose the best option among major carriers, level funded plans, self-funded plans, and more. Brokers provide long-term strategies, flexibility, coaching, and risk evaluation. PEO—Most PEOs work with a limited number of insurance providers, but they are able to negotiate better rates for their clients because they manage thousands of employees across many different companies. PEOs also offer expert knowledge across the full spectrum of HR responsibility. They can help you manage not just your insurance and benefits, but also payroll, workman’s compensation, tax filing, employee management, recruiting, and much more. Brokers offer essential services and industry knowledge, but many small businesses need the partnership of a PEO to help them manage administrative tasks that otherwise eat up too much of their time and place them at risk of compliance violations. The Society for Human Resources Management recommends looking for an insurance broker that will provide support rather than simply trying to sell you something. If you choose to go with a PEO, the same advice holds true: find a provider that will help you make key decisions, give you access to current information, and take a consultative approach to service. But what if you could get the benefits of a PEO and a broker, while still receiving stellar support? Triton Benefits and HR Solutions, for example, helps clients understand the connection between health benefits and HR solutions as well as the importance of having the right technology in place to keep benefits and employee self-service running smoothly. Their integrated HRIS stores human resources, payroll, and employee benefits information in one place, eliminating errors and making reporting and HR responsibilities straightforward and efficient. "The synergy between being a benefits broker and understanding HR’s technology impact on most businesses is key to being a 21st century broker,” Triton President and CEO Steve Rosenthal said in an interview with NJBiz. ACA compliance forced many companies to redesign their insurance and benefits coverage from the ground up. This year, the grace periods are over and full fines will be assessed for compliance errors. Before you vote with your dollars, make sure the provider you choose takes a service approach that includes walking you through any necessary transitions in order to help you avoid penalties.